Finding the perfect 4K TV isn't always easy, especially when you're on a budget. It's understandable that you want to save some money when you're on the hunt for the best 65 inch 4K TV under 2000 dollars. 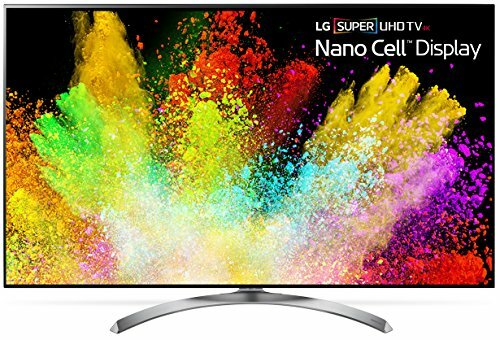 There are some super cheap 65 4K TV's you can choose from, but they're not always the best choice if you don't know what a good quality TV looks like. We've put together this list of the top 10 best 65 inch 4K TV's under 2000 dollars to help you out in your research process, the decision to purchase a certain TV is most often swayed by the price tag, yet you still shouldn't settle for anything less than you deserve. There are plenty of options out there, it's just about knowing where to look. On a tighter budget? You might like these 65-inch 4K TVs under $1000. If you're not bothered about 4K, see our review on the top 65-inch TVs for less than 1000 dollars. 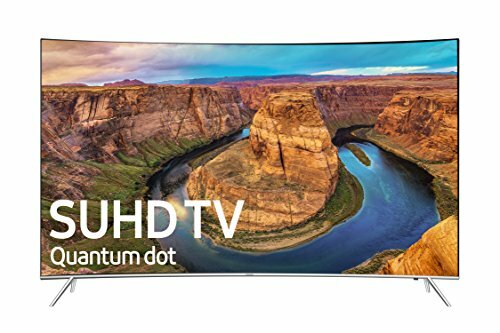 What to Look for When Buying A 65 Inch 4K TV Under $2000? 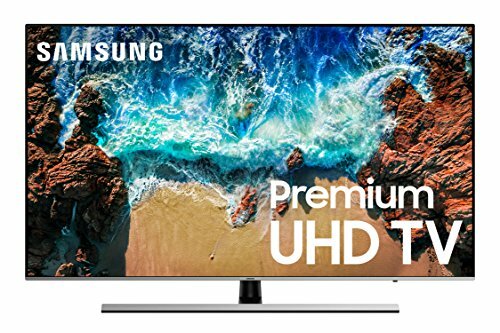 Are budget 65 Inch 4K TVs good? 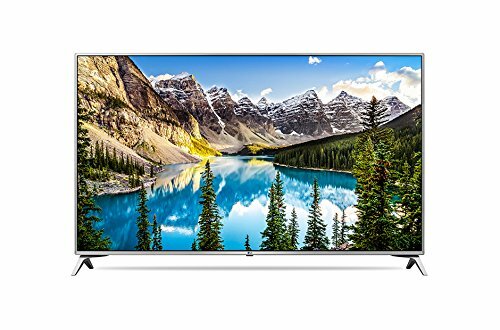 Can you get a great 65 Inch 4K TV for under $2000? In case you don't want to purchase any of the 65-inch TV's on the list, we have also included a buying guide to help you out even more. 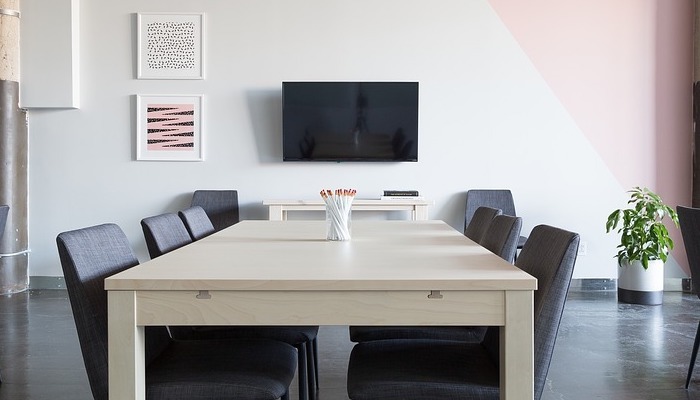 For those of you who are unsure about what to look for when buying a 65-inch 4K TV or how having a budget TV can affect your living space, we have all the advice and tips you could ever need! Keep on reading more to find out all the best hints before purchasing your new toy, then you can be sure the whole family will love it! You might enjoy these 65-inch TVs under $1500. One of the best Samsung 4K 65 inch TV's has got to be this MU6300 model, it's affordable but still very good quality. Considering the price, you're getting a great deal on this model and should take up the opportunity while you can. It has a perfect native contrast ratio meaning you can see all of the colors carefully, and the black uniformity is another great element too. 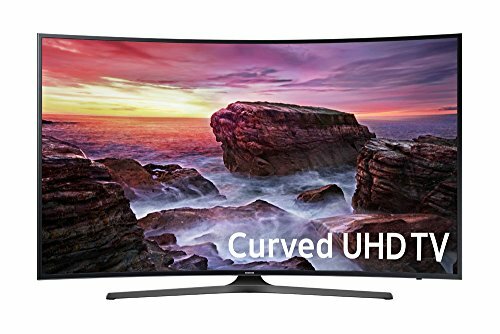 Video games are incredibly responsive on this Samsung model since it has a low input lag, therefore meaning anyone who likes to plug in their console should try this TV model. Although it doesn't have the most aesthetically pleasing look as it is fundamental, for some people, this is all they need. The design won't turn any heads, but it's still supportive and sturdy so there won't be any accidents if there are young children around. Also, the borders are small, and it is finished in the matte black paint with the stand being matte silver. When viewed from the side angle, it's a thin gaming TV that could be easily mounted onto a wall if you wish to do so. However, it does stick out a little towards the bottom, but this isn't too much of a problem. You can tell the stunning build quality of this TV just by looking at it, it's plastic but seems ideal for anyone who wants a modern TV in their home. The picture quality is also great too, it's important to find yourself a TV that has a perfect balance of both design and quality - this MU6300 model definitely has that. Why We Liked It - Sometimes people tend to opt for stunning 65-inch 4K TV's that has lot's of attraction about them, but it's not always about the way it looks. Regarding purchasing a TV, you want to get something that has good picture quality too. This MU6300 model has both, and that's something lot's of people will love. Got less budget? Try one of these great 65" 4K TVs under $1500. 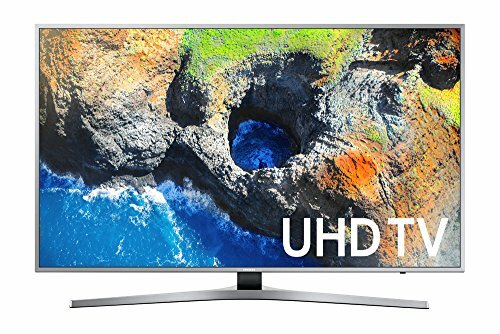 With a refresh rate of 120Hz and a fantastic 4K resolution, this Samsung UN65KS8500 65-inch 4K TV is extremely popular and could be the perfect choice for you. It's great at motion handling and offers good quality HDR content without any issues which are ideal if you're a movie lover. The whole family will be able to come together to watch your favorite TV shows and movies, it's a perfect solution to your cinema worries! Even if you have a bright living area where the TV is placed, the TV can still display the content without reflections. One of the only flaws it has is the sound quality, likewise, to other Samsung TVs on the market, it is lacking in this area. Other than this, it's great. The KS8500 model has a low input lag for gamers to play any video games they want. The design of this model is sleek and simple featuring two spider legs at either end of the unit. It has a shiny chrome finish and is pretty glossy - the perfect addition to any modern home theater. Why We Liked It - Chrome-finished TV's always look so modern and sleek, there is something about them that we absolutely love. Not everyone wants a chrome-finish, but if you have a stylish home theater, this gaming TV will match perfectly. This budget TV is the ultimate choice if you wish to save money on your 65-inch 4K TV purchase. Forget hitting the $2000 mark, this is definitely well below your budget, but it's still amazing quality. The design is a little different to the other models discussed above as it has a glossy-black finish and a modern center stand. To add to this, this Samsung model also has a low input lag for gamers to play their favorite video games and a great overall picture - no matter whether it's in a bright or dark room! However, it lacks a good sound quality and doesn't handle motion very well either. Although these aren't significant flaws, they're still important to consider before purchasing your new budget TV. The screen is curved though which means it allowed the user to feel more involved and included in the TV experience. Yet, it does also say you can't mount it onto the wall of your home theater as it will stick out too much. Why We Liked It - This budget TV has a modern and sleek design that look perfectly fitted into any home theater. It also has small borders and a support stand that looks great too. You will definitely be proud of this budget TV sitting in your living room! Perhaps you're looking for something a little more ordinary? 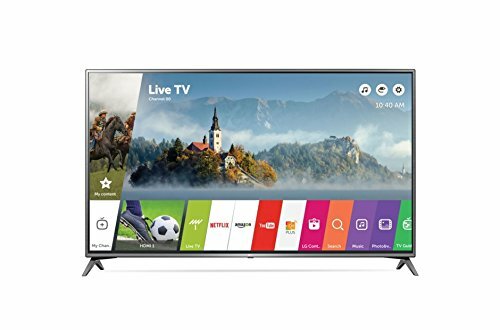 This LG UJ6300 model is another one of the best 4K TV under 2000 dollars. It has a smart platform which you can use to stream your favorite movies or TV shows or even look through the web. In addition to this, it has am impressively low input lag so all the gamers out there can make the most of the features on this great model. The design is similar to our second choice except it has a matte-black finish, and the spider legs at either end of the unit are smaller. These legs do provide a great base and steady foundation for the 65-inch 4K Ultra HD Smart TV, this is especially helpful if you have young children around. However, there are multiple flaws we must address this model including the lousy sound quality and the poor motion handling. Although these aren't anything too life-changing, if you're spending a significant amount of money on a 65-inch TV, you want something really great. 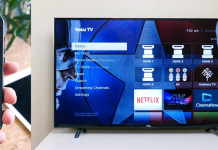 Why We Liked It - The perfect 65-inch 4K Ultra HD Smart TV in your home can make things a lot better, from watching your favorite movies to just sitting around and watching a TV show. The HDR feature on this 65-inch TV allows for colors to 'pop' and has an overall great feel. Offering a good picture quality and low input lag, this Samsung KU6500 model is a great addition to any stylish home. It's pretty standard concerning design, the stand is located centrally on the unit, and it's finished with matte-black. It's definitely not a budget model, but it still has an affordable and reasonable price considering the high quality. You would never tell how low priced it is when looking at it due to the high build quality. It also has a good native contrast ratio meaning all the colors are apparent whether you're watching in a dark or bright room. The contrast ratio is also stunning when you're watching a movie in HD. Despite its positives, there are some flaws we must address. They're nothing too major but they do affect whether you opt to buy this model or not. The sound quality is a lot better than other Samsung and LG models, but it's still not the best. The motion handling is also poor too, this means if you're wanting to watch a fast-paced movie - it may appear blurry rather than clear. Why We Liked It - it's a super responsive model, and that's impressive for Samsung. It's not the best 65-inch 4K TV under 2000 dollars, but it's definitely above other good models. If HDR elements are the main priority for your new purchase, this SJ8500 model is something you may want to consider. It has a decent picture quality and has a better than average viewing angles which means, even if you have a larger living area, everyone will be able to see the TV when it's on. Another key element of this model is the low input lag, and the motion handling is excellent too. It's often the case that lower-priced TV's won't have good motion handling, but this one does! One of the main issues with this Ultra HD model is that the blacks aren't very deep and therefore this effects how you see color during the darker scenes of movies and TV shows. The blacks also lack contrast which may annoy some people, but if you're not into technology, then it won't be a huge deal. Other than that, it's a great LG Ultra HD model to choose, it would fit perfectly in a stylish and modern home. Why We Liked It - We love the curved silver stand that is centrally placed on this Ultra HD model, it's a nice touch and gives it a slightly more modern edge. This means you can always place it anywhere in your home without the worry that it won't match with the other aesthetically pleasing furnishings. Wanting something a lot better than average? This Samsung model has a low input lag and an impressive brightness and contrast level. It's such a lovely addition to your home which is why it was named the best 65 4K TV for the money! It has an amazing picture quality and a chrome-finish design which just adds to the aesthetic of this unit altogether. It's a stunning TV, but that does come with a price tag. 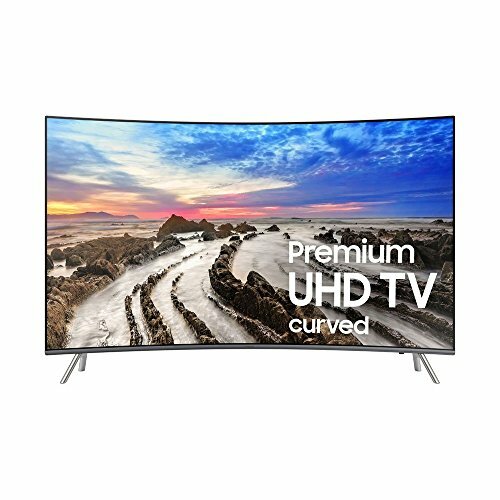 The main downfall of this TV model is the price tag, it's not reasonably priced at all and should have a lot more features considering how much it costs. Its curved screen is something previous customers tend to love, and the small, sleek borders are another bonus too. It does appear thicker from the side as it is curved so we wouldn't recommend mounting it on the wall as it will stick out and look strange. Another issue with this Ultra HD model is the poor local dimming, although it doesn't directly affect your viewing pleasure, it's something you should think about before purchasing it. Why We Liked It - Curved screens are slowly becoming more popular due to how they make the viewer feel. 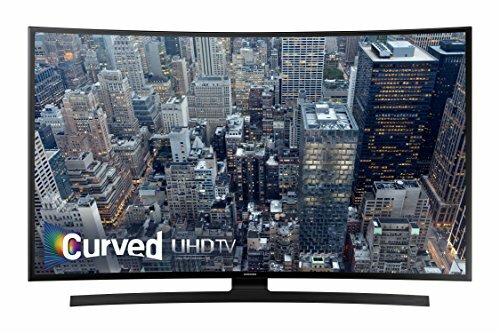 A movie always seems a lot better if you watch it in front of a curved TV, and that's why they're so popular! This beautifully constructed TV will surely brighten up your whole living area in a few easy and quick steps. It has some super cool features and a stunning chrome-finish design. Since two spider leg stands are holding it up, there is plenty of stability and support. Therefore you don't have to worry about young children pushing it or hurting themselves. You can watch your favorite movies, no matter how fast-paced they are, since it has very little motion blur and a low input lag. It just performs really well. However, the sound quality is poor. Although this isn't a major flaw, it's something to consider before you purchase it. The color gamut on this model is also described as mediocre considering the price tag, you generally want a TV with a good color gamut that is wide. Why We Liked It - It has good brightness and a low input lag, gamers love it, why shouldn't you? We definitely do! 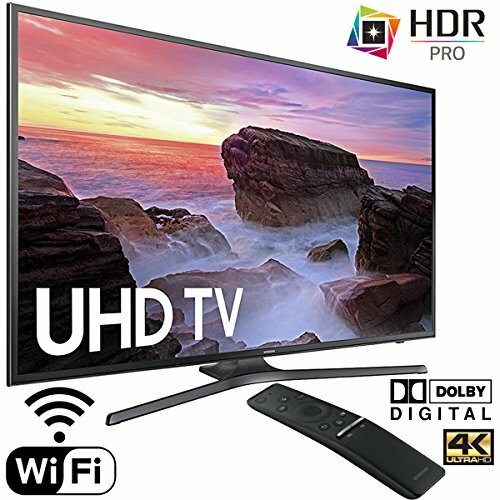 Another great choice for those who like amazing HDR content, the LG UJ6540 model has it and an extra-wide color gamut which means you'll be stunned at how amazing the color looks! Everyone wants to watch the TV and see the beautiful colors, don't they? We definitely do! The 4K resolution is amazing on this model and definitely shows how much it's worth! It does have some flaws but these are minimal, and we love the LG model anyway. These flaws aren't anything too major and we can still make the most out of our money by purchasing it. There are small issues with the local dimming, and it's a little expensive considering the quality. You may expect the TV to be of better quality considering how expensive it is. The brightness and contrast on this model also lack a lot of personalities - sometimes when it is placed in a bright room, it gives off bad reflections. Why We Liked It - Newer technology sometimes has the negative expectations that it's not going to work or it's going to break easily. However, this model is stunning and can add a nice touch to your smart home theater. Despite getting mixed reviews from previous customers, this Samsung MU7000 model has great black uniformity meaning the contrast is high, and the TV can deal with reflections easily. The input lag on this model is also low which is a huge bonus if you want to connect a console to your TV and play video games. Yet, this model is at the bottom of our list for a reason, it has some great elements to it, the color gamut is wide too. But, it certainly could be brighter, and it doesn't support a 4K HDR feature meaning the colors appear dull during some movies and TV shows. The image quality also deteriorates when viewed at an angle. However, it's still a nice looking model that would fit well in a stylish and smart home, even though it has some issues. Why We Liked It - The chrome-finished central stand is a lovely touch on this model and really adds something extra to it. The borders are also finished in the same color, and they're super small which means there is no issue watching the TV! Before you jump straight in and purchase a cheap 65 inch 4K TV, you want to ensure it is the best quality. Despite paying less than $2000 for your new technology piece, it's still a lot of money to throw away on something that won't last. Knowing what a good quality TV is compared to a bad one, could be the difference between having it for 1 year or 10 years. After all, it's your hard-earned money that is going into buying this new purchase, you don't want to be wasting it effectively. Below are some factors and elements that you may want to consider when you buy a 65 inch TV, not very good quality TV will include these but most of the best, will have a few of them. Remember, there are tons of brands and companies out there that sell very similar TV units at entirely different price points. 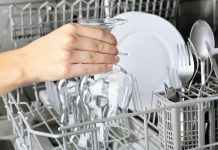 If you can get the best price, then you won't have to worry that you could have saved even more money. It's always great to have an attractive TV in your home, whether you choose to put it in the living area or a bedroom. You want it to look as good as possible. But, if you're a technology nerd like we are, then you will undoubtedly want the perfect balance between beautiful design and a good quality image/screen. There is no point in spending so much money on a TV unit that looks good but doesn't play movies or TV shows how you want it too. Consider the design as a factor but remember that there is more to a TV than just the way it looks. Although, it's always a huge bonus if it seems stunning in your home. You're paying nearly $2000 for a TV, you want it to be the best you've ever had. If you can spot the difference between high image quality and a low one, then you're sure to get this element right. If you're unsure about how to see if a TV has good picture quality, we would recommend looking up previous customer reviews to see what everyone else is saying. HDR stands for high dynamic range which is essentially picture performance, brightness, and color all compiled into one. It is growing in popularity in the tech world, and more people than ever now want a TV with an HDR feature or one that supports 4K HDR content. The leap from HD to 4K HDR content is very noticeable when you put them side by side, and you can definitely choose between hundreds of models in your price range that have this feature too. Surprisingly, yes! Most of the time, if you put your money into a well-known, popular brand who are famous for producing good quality TV's then whether it's budget or not won't matter. There will be some of the best rated 65 inch 4K TV's for under 2000 dollars, so you have nothing to worry about. The word 'budget' often has lots of negative connotations, but in fact, it's a great way to shop for your latest piece. It saves you money but means you still get a stunning 4K TV for your home. However, many budget TV's lacks good sound quality, and this may be because of the price range. Don't let the more negative reviews of the sound quality deter you from buying a TV within your budget - you can always purchase some external speakers or a soundbar if you don't like the quality yourself. Sure, you can! 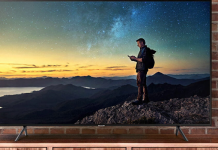 Just like we talked about earlier on in this article, you should merely look out for the good qualities of a 65 inch 4K TV then you'll have your new TV in no time. It's not too difficult when you know what you're looking for! 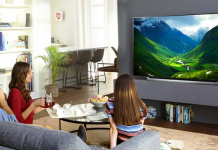 Great 65-inch TV's don't always come with a high price tag, and this is something you will find when you research more into the different models available. The best 65 inches 4K TV under 2000 dollars are always those that don't initially seem worth it. Just because you pay a lower price tag doesn't mean to say you're getting a worse quality product. While you should consider what you're paying for the TV, it doesn't always have to be a high price tag. Even the experts say you should research prices before you jump in and buy a TV for yourself. Samsung electronic started in around 1970 with a black and white TV, they then began selling car phones (also now known as mobiles) in 1986. They're one of the biggest and most popular brands in the world. They're even leaders in electronics.